1. When anything goes wrong with your house restoration, it is your fault. 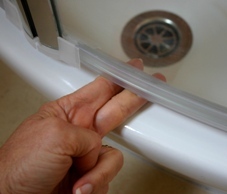 Example: The newly installed shower stall has a 2 inch gap between the bottom of the shower door and the porcelain platform, which results in substantial flooding of the bathroom every time anyone uses the shower for its intended purpose. When pointing this out to the plumber who installed it, he responds that the floor is not level. The stone mason who laid the floor says that this is an old house and nothing is level. In the end they both agree, that if you want something level, you buy a new house. Result: It is your fault because you bought an old house. 2. Beware of professional landscape gardeners and experts on local plants. 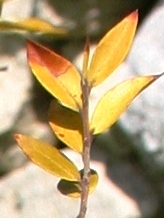 Example: On the advice of our local nursery we plant 2 myrtle trees, one of which soon turns yellow. We ask the professional landscaper who planted it what is wrong. After a close inspection, he says: “Water it.” Two weeks and several waterings later, the myrtle tree looks worse, and we consult another professional gardener. We tell him we have been watering it regularly. He gasps in horror. “No!” he pleads, “you mustn’t water it! The roots will rot!” We stop watering it. Three days later, the tree is officially dead. 3. If a tradesman suggests doing something that he claims will turn out bello, it will be brutto. 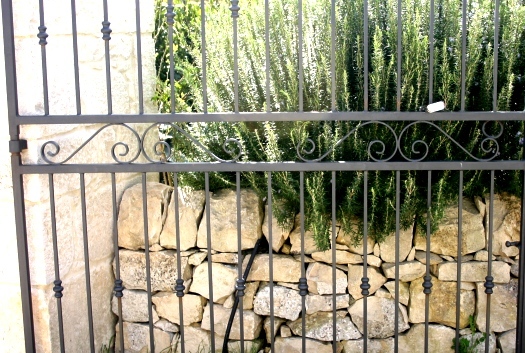 Example: I want to have an iron gate made, and install it near our old stone house. The purpose of the gate is to keep the neighbor’s sheep and cows from ravaging our garden and shitting on our doorstep. I explain to the fabbro that I want the gate to be as simple as possible. I sketch a simple gate, which he says is brutto. 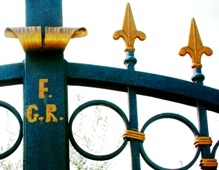 The fabbro suggests that I add decorative elements, which is a nice bello touch, and if we paint those decorative elements in gold metallic paint, the gate will be bellissimo. We have been at this house restoration thing for 2 years now, so I dig in my heels and repeat that I want a simple gate. The fabbro sighs, and motions me into his car.